A sermon preached at St. Andrew's On-the-Sound Episcopal Church in Wilmington, NC on March 16, 2014. The texts were Genesis 12:1-4a, Romans 4:1-5, 13-17 and John 3:1-17. Even though I grew up in the great and wild state of Texas, my family was not an ‘outdoorsy’ family. We didn’t have much money to go on excursions into the great wilderness out West. 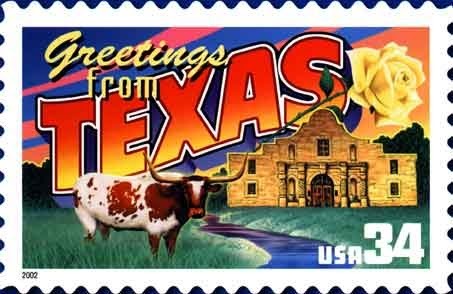 I can remember camping with my father only once, in the cold hill country of Texas, and our tent was woefully inadequate. I can still feel the cold wind cutting into my sleeping bag. But in spite of growing up without much experience roughing it in the wild, I caught the camping bug once I married my wife Karen, who has been camping at least once a year for every year of her life. The feelings of a rarely used trail under my feet, the smells and sights of the woods, braving those foul beasts called ticks and mosquitoes...oh, so glorious! 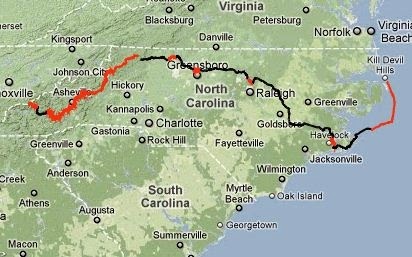 After I had camped with Karen a few times, I (foolishly) resolved to complete the North Carolina Mountains-to-Sea trail. In my excitement, I began to map the trail, and very quickly I realized that I wasn’t in quite the best shape to undertake such a feat. But I didn’t let that quench my thirst for the open road. So I decided I would do a portion of it, from Chapel Hill to Rocky Mount, NC. The relatively short length and the generally flat terrain seemed conquerable for a novice like me. I began to scour the camping sections of stores, picking up a one person tent here, and a travel emergency kit there. My collection neared completion. All that was lacking was the Walking Staff. Would you believe that I actually carved my own Walking Staff from a fallen birch tree? I did! I sawed, sanded, and finished that staff until it was as smooth as silk. Being a good Christian, and a bit superstitious, I even carved three concentric circles into the top in honor of the Blessed Trinity. I was ready for the journey. But to this day, I have never taken the first step. I never actually began the journey. I planned. I purchased. I practiced. But I never took the first step, and so I’ll never know what could have come from my adventure. I’ll never know what I could have seen, what I could have learned. 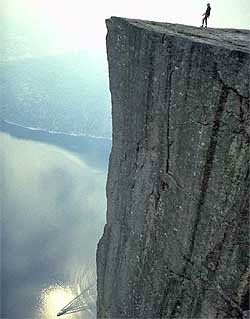 It’s all lost to the realm of possibility. 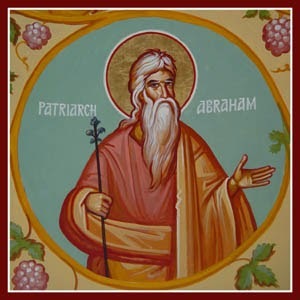 Abraham’s journeying into the great unknown stands for us as a model of faithfulness…as an example of what it means to hear God’s call to move, to journey, to obey…and ultimately to follow that call. So imagine what a significant loss it would be for us, here in this place today, if Abraham had not listened to God’s call. We would be without the witness of such great a patriarch. We would be without the witness of God’s faithfulness to Abraham, and God’s blessing of the nations through Abraham’s descendants. 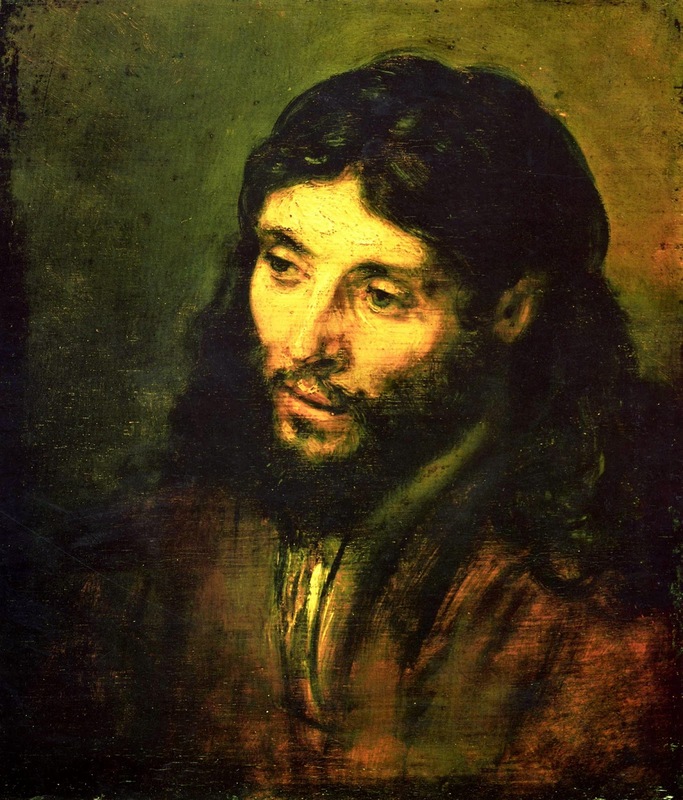 And, even more profoundly, we would be without the person and work of Jesus of Nazareth. In the epistle to the Romans, the Apostle Paul makes it quite clear that all Christians are, in a sense, daughters and sons of Abraham. Though we may not be Hebrews by birth, we are all to consider Abraham our ancestor. Paul’s tightly constructed argument in the epistle hinges in part on the faithful witness of Abraham, his steadfast character in the face of the great unknown set before him. Abraham’s witness of faith in God and faithfulness to God’s covenant stands as a testimony to the way we, as descendants of Abraham, are to live our lives in relationship to God: “For the promise that he would inherit the world did not come to Abraham or to his descendants through the law but through the righteousness of faith…for this reason it depends on faith, in order that the promise may rest on grace and be guaranteed to all his descendants, not only to the adherence of the law but also to those who share the faith of Abraham (for he is the father of all of us)”. As children of Abraham, we are called to inherit the grace and mercy of God, the righteousness of God, not through the practice of the law, but through living our lives in complete obedience and faithfulness to whatever God might be calling us to do. As children of Abraham, we are reminded of the faithfulness of our forbearer who inherited the promise of God to become a father of many nations not by satisfying all the demands of the Law, but through taking that first step towards the Promised Land, towards what must have seemed like only the faint blowing of an unpredictable wind. He was righteous because he answered the call of God to be obedient in the face of a great mystery, and Paul is clear that we also are righteous as we share in that same faith and embody that kind of radical faithfulness to the God that is often beyond our comprehension. This covenant, this witness, all hinged upon Abram taking that first step of obedience in his journey to becoming Abraham, to receiving his new name and his new nation. And though his obedience testifies to God’s faithfulness, thus we have Paul’s writings in Romans as a witness to Abraham’s enduring legacy, there is something even greater about Abraham’s legacy that the Gospels reveal: the very life and ministry of Jesus of Nazareth is said to have sprung out of Abraham’s lineage. ared to the way we do history in the Modern Era, they nevertheless point to a profound truth: the ministry and mission of Jesus is folded into the lineage of Abraham, allowing us to see how Abraham’s obedience those thousands of years before Jesus ultimately set the stage for the great drama of salvation to play out in time and space. His faithfulness to God, his willingness to walk when God called him to walk, to move when God called him to move, to abandon all that he had known was such a significant part of the story of Israel that Jesus himself came to stand in continuity with Abraham’s lineage and legacy. And all of this hinged on Abraham’s first step into that great unknown…the great mystery of a strange God’s call to leave all that he had grown accustomed to, and venture into a world of uncertainty with only an intangible, untouchable promise to stand upon. In a sense, you and I aren’t much different from Abraham. We are all, in some way, called by God to leave behind the comforts of our lives. To abandon patterns of behavior that may be destructive, to leave behind successful careers and answer God’s call to a life of service. To be called to embrace the difference of another person we otherwise would never engage with. Even this season of Lent stands as a call for repentance and renewal, that we might experience the glory of Easter with fresh eyes and a cleansed soul. We are all being called by God to be transformed, to go out of the country of our comfort and complacency. To take that first step on a journey to an unknown destination. As Christians following the way of Jesus in an often bleak and violent world, we are all in uncharted waters. And finally, Abraham’s witness of obedience in the face of uncertainty reveals the deep truth that you and I have absolutely no idea how our own acts of obedience might transform the world left behind in our wake. I sincerely doubt that Abraham thought one night as he was tending to his caravan, “One day I’ll be remembered for my faithfulness, and the Messiah himself will be called one of my sons.” But his faithfulness in taking that first step allows for such a statement to be true. Friends, don’t be like me, a man who made plans, purchased all the needed tools, and practiced my heart out but never took a step on my journey. Be like Abraham. 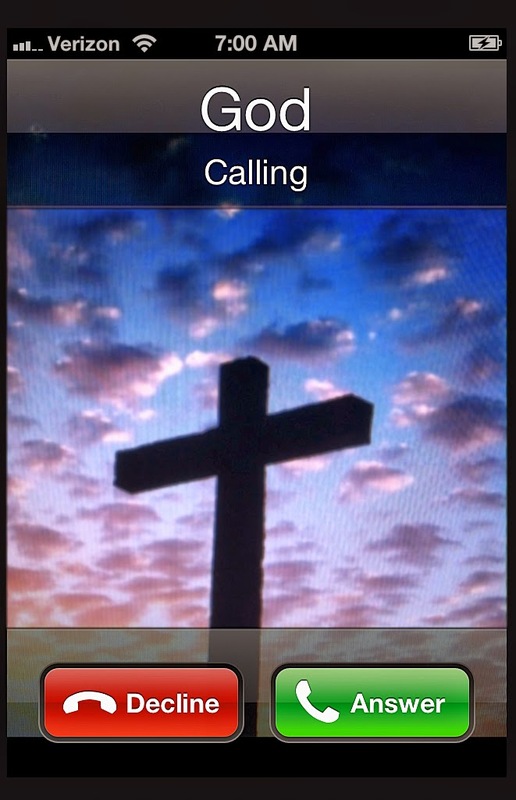 Listen for God’s call, embrace it despite the fear that comes with uncertainty. You just might change the world.